↑ ୧.୦ ୧.୧ ୧.୨ ୧.୩ ୧.୪ ୧.୫ ୧.୬ "Cancer Fact sheet N°297". World Health Organization. February 2014. Retrieved 10 June 2014. ↑ ୨.୦ ୨.୧ ୨.୨ "Defining Cancer". National Cancer Institute. Retrieved 10 June 2014. 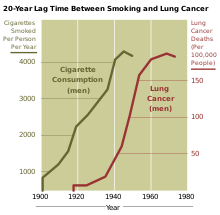 ↑ ୫.୦ ୫.୧ ୫.୨ World Cancer Report 2014. World Health Organization. 2014. pp. Chapter 1.1. ISBN 9283204298. ↑ "Heredity and Cancer". American Cancer Society. Retrieved July 22, 2013. ↑ "How is cancer diagnosed?". American Cancer Society. 2013-01-29. Retrieved 10 June 2014. ↑ ୯.୦ ୯.୧ World Cancer Report 2014. World Health Organization. 2014. pp. Chapter 4.7. ISBN 9283204298. ↑ "Targeted Cancer Therapies". NCI. 2014-04-25. Retrieved 11 June 2014. ↑ World Cancer Report 2014. World Health Organization. 2014. pp. Chapter 1.3. ISBN 9283204298. ↑ "Cancer Glossary". cancer.org. American Cancer Society. Retrieved September 11, 2013. ↑ "What is cancer?". cancer.gov. National Cancer Institute. Retrieved September 11, 2013. ↑ ୧୫.୦ ୧୫.୧ Hanahan, Douglas; Weinberg, Robert A. (January 7, 2000). "The hallmarks of cancer". Cell. 100 (1): 57–70. doi:10.1016/S0092-8674(00)81683-9. PMID 10647931. ↑ Hanahan, Douglas; Weinberg, Robert A. (2011). "Hallmarks of Cancer: The Next Generation". Cell. 144 (5): 646–74. doi:10.1016/j.cell.2011.02.013. PMID 21376230. ↑ ୨୯.୦ ୨୯.୧ "WHO calls for prevention of cancer through healthy workplaces" (Press release). World Health Organization. 27 April 2007. Retrieved 13 October 2007. ↑ "Cell Phones and Cancer Risk - National Cancer Institute". Cancer.gov. 2013-05-08. Retrieved 2013-12-15. ↑ ୪୨.୦ ୪୨.୧ Roukos DH (April 2009). "Genome-wide association studies: how predictable is a person's cancer risk?". Expert Rev Anticancer Ther. 9 (4): 389–92. doi:10.1586/era.09.12. PMID 19374592. ↑ Hendrik Ungefroren; Susanne Sebens; Daniel Seidl; Hendrik Lehnert; Ralf Haas (2011). "Interaction of tumor cells with the microenvironment". Cell Communication and Signaling. 9 (18). doi:10.1186/1478-811X-9-18. ↑ "What is Metastasized Cancer?". National Comprehensive Cancer Network. Retrieved 18 July 2013. ↑ "Metastatic Cancer: Questions and Answers". National Cancer Institute. Retrieved 2008-08-28. ↑ "Cancer prevention: 7 steps to reduce your risk". Mayo Clinic. 27 September 2008. Retrieved 30 January 2010. ↑ "Cancer". World Health Organization. Retrieved 9 January 2011. ↑ "Vitamin D Has Role in Colon Cancer Prevention". Archived from the original on 4 December 2006. Retrieved 27 July 2007. ↑ ୭୫.୦ ୭୫.୧ ୭୫.୨ "Cancer Vaccine Fact Sheet". NCI. 8 June 2006. Retrieved 15 November 2008. ↑ ୭୭.୦ ୭୭.୧ ୭୭.୨ "What Is Cancer Screening?". National Cancer Institute. ↑ ୭୮.୦ ୭୮.୧ ୭୮.୨ Wilson JMG, Jungner G. (1968) Principles and practice of screening for disease. Geneva:World Health Organization. Public Health Papers, #34. ↑ Chou, Roger; Croswell, Jennifer M.; Dana, Tracy; Bougatous, Christina; Blazina, Ian; Fu, Rongwei; Gleitsmann, Ken; Koenig, Helen C.; et al. (7 October 2011). "Screening for Prostate Cancer: A Review of the Evidence for the U.S. Preventive Services Task Force". United States Preventive Services Task Force. Retrieved 8 October 2011. ↑ National Cancer Institute (Dec 2012). "Targeted Cancer Therapies". www.cancer.gov. Retrieved 9 March 2014. ↑ Akl, EA; Kahale, LA; Ballout, RA; Barba, M; Yosuico, VE; van Doormaal, FF; Middeldorp, S; Bryant, A; Schünemann, H (10 December 2014). "Parenteral anticoagulation in ambulatory patients with cancer". The Cochrane database of systematic reviews. 12: CD006652. PMID 25491949. Mukherjee, Siddhartha (16 November 2010). The Emperor of All Maladies: A Biography of Cancer. Simon & Schuster. ISBN 978-1-4391-0795-9. Retrieved August 7, 2013.